Coming to DVD and Blu-Ray next year. 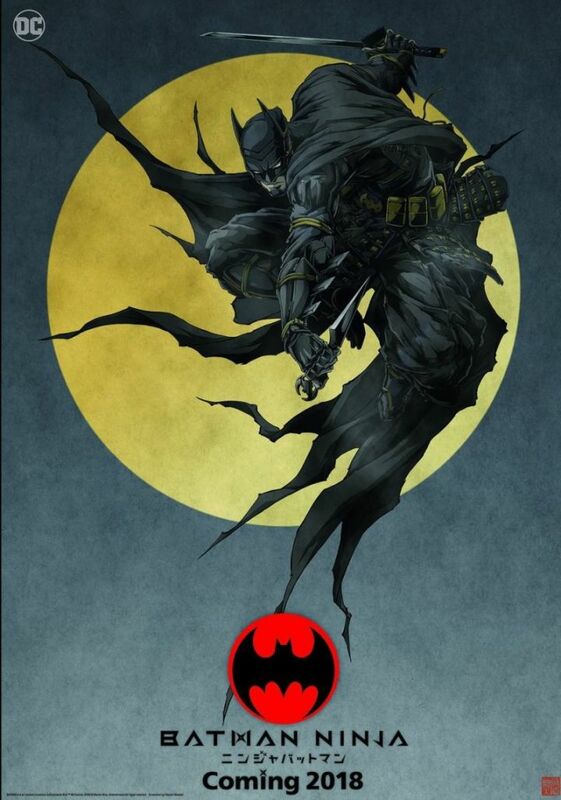 BY ALEX OSBORN Today at New York Comic-Con, Warner Bros. Japan revealed the first official poster for its upcoming anime movie Batman Ninja. The film, which sees Batman sent back in time during medieval-era Japan, will be released sometime next year on DVD and Blu-ray. Batman Ninja is being directed by Jumpei Mizusaki (JoJo’s Bizarre Adventure) with character designs by Takashi Okazaki (Afro Samurai). Eric Garcia and Leo Chu wrote the English screenplay, which is based on a script by Kazuki Nakashima. In addition to Batman Ninja, 2018 will bring with it the release of an animated retelling of Gotham by Gaslight, the DC Comics story that sees Batman transplanted into the 18th Century. Three clips from the upcoming movie were shown at NYCC, and you can check out our rundown of the footage right here.